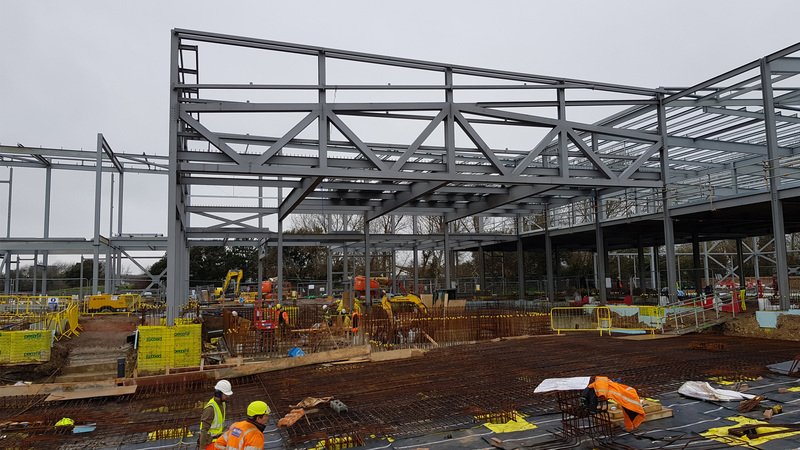 The new £17m Littlehampton Leisure Centre for Arun District Council is taking shape on site. 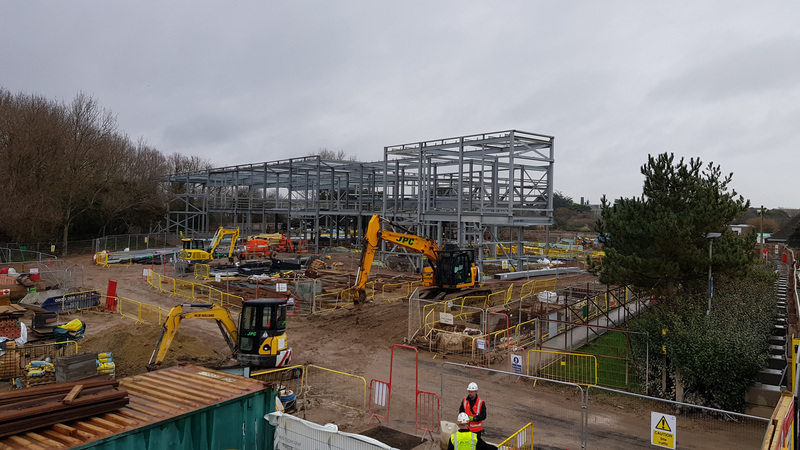 Erection of the steel frame superstructure is now well underway following the completion of the first phase of piled foundation installation and groundworks. The project designed by Space&Place Architects with Furness Partnership being the Structural Engineer, will provide new modern sport and leisure facilities for the local community. The leisure centre will include an 8-lane, 25 metre swimming pool, learner pool, gym, dance and cycling studios, sports hall and café. The building works have begun by main contractor Willmot Dixon in August 2017 on the site of the current sports dome and overflow car park. 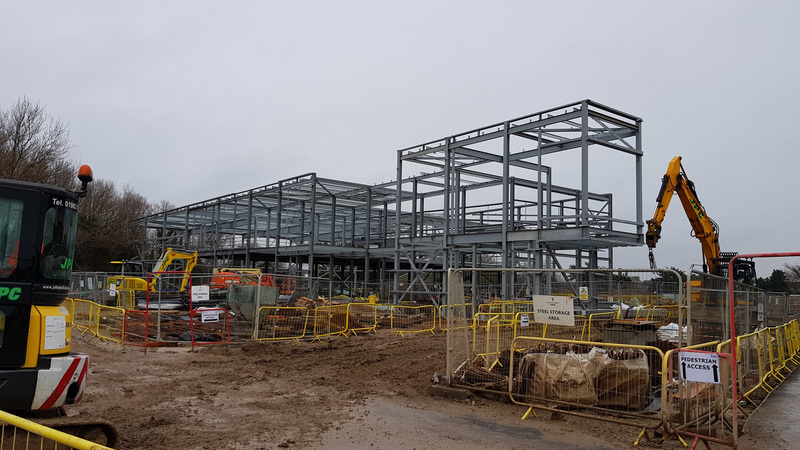 They have now completed the majority of the steel frame superstructure and are progressing well with construction of the pool tanks.